Applications are now being accepted for 98 mixed-income apartments located at 115 Delancey Street, known as site two of the sprawling nine-site Essex Crossing Development. 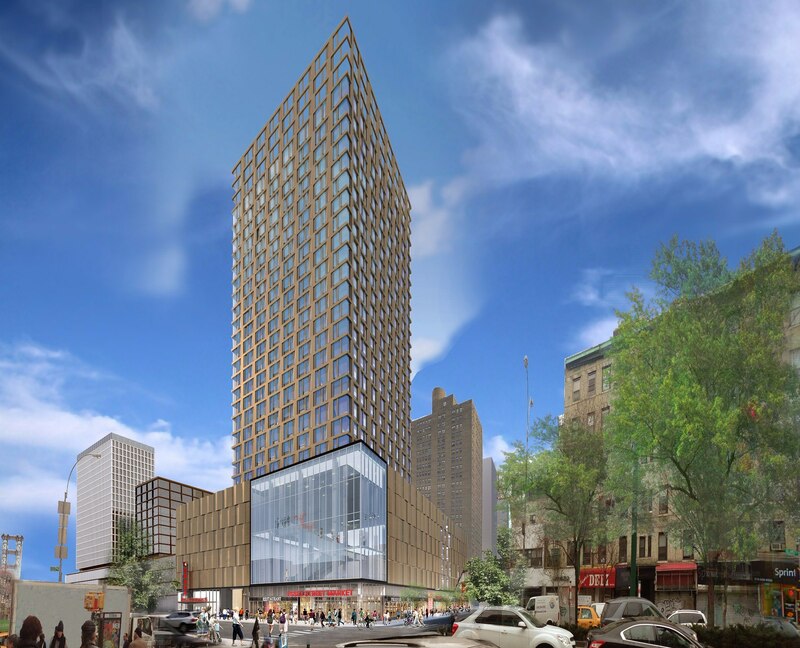 The 26-story tower is the tallest building on the $1.9 billion complex and will host the Essex Street Market and a 14-screen Regal Cinemas Theater. 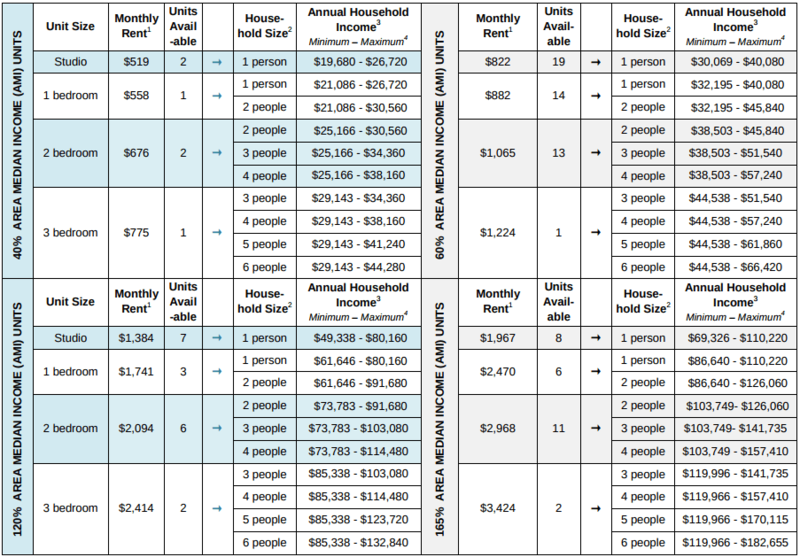 Qualifying New Yorkers earning 40, 60, 120 and 165 percent of the area median income can apply for units ranging from a studio for $519/month to a three-bedroom for $3,424/month. Earlier this month, the lottery opened for 11 condominiums at the site’s SHoP Architects-designed tower at 242 Broome Street. In April, applications were accepted for 99 one-bedroom apartments for seniors at 175 Delancey Street and one month earlier, 104 affordable apartments were up for grabs at 145 Clinton Street. In total, Essex Crossing is expected to bring 1,079 units of mixed-income housing, 350,000 square feet of office space, along with commercial tenants like Trader Joe’s and Target. Developed by Delancey Street Associates, a group made up of BFC Partners, L&M Development and Taconic Partners, 115 Delancey Street will contain a total of 198 units. Amenities include a part-time lobby attendant, on-site super, communal terraces, fitness and yoga rooms, a children’s playroom, bike storage and a resident’s lounge. The building will also have the first phase of the Market Line, which will span 700 feet along Broome Street at the base of three buildings. Part of the market will feature local art, as well as a gallery and performing space. The first phase of Market Line focuses on food and will open next year. The 77-year-old Essex Street Market will open next to the market. Qualifying New Yorkers can apply for the affordable apartments at 175 Delancey Street until February 13, 2018. Residents of Manhattan Community Board 3 will be given preference for 50 percent of the units, and of those, 50 percent will be reserved for former tenants of the Seward Park Extension Urban Renewal Area (SPURA). Complete details on how to apply are available here (pdf). Questions regarding this offer must be referred to NYC’s Housing Connect department by dialing 311.